Unofficial end of summer? Sad. Great ways to celebrate end of summer? Glad. How you’ll feel if you don’t go out and play? Go Go’ers, consider Labor Day weekend a (wine) glass half-full situation. Instead of mourning the end of beach season, put on your most stylish baggies and head to LA Times The Taste for great grub without the guilt. Whether you’re a locavore or a brunch enthusiast, a global gastronome or a fan of adult libations — Ms. Go Go raises enthusiastic hand — The Taste has an event to make your day (or night). Still stymied about how to cook up summer’s garden bounty? Check out the So Fresh and So Clean cooking demo at Saturday’s Field to Fork. Saturday night’s Dinner with a Twist sets you up for all your sophisto soirees with multiple mixology demos from the stars of L.A.’s white hot cocktail scene. You’ll want to know them all. Sunday starts the weekend’s most indulgent meal: the kid-friendly ($5 for ages 3-12!) Sunday Brunch. Diehard foodies won’t want to miss 20 Years of the French Laundry featuring French Laundry Chef/Proprietor Thomas Keller and others. Sunday evening, sample the world’s home cooking without leaving your hometown at Flavors of L.A. Cheer on the sidelines of Fish Fight: A Sardine Cook-Off between Michael Cimarusti (Providence/Connie & Ted’s) and Russ Parsons (L.A. Times Food Editor). Go Go’ers, those stretchy pants look swell. 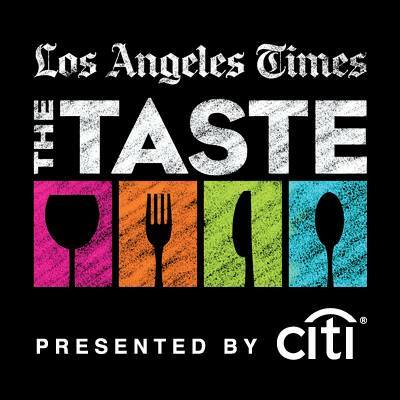 L.A. TIMES THE TASTE — Fri, August 29 – Sun, August 31; various times. $100 – $175; 21+ Kids 3-12 $5 (Sunday brunch only) — Paramount Pictures-Gower parking structure – 801 N. Gower Street, LA, 90038 OR Paramount Pictures Van Ness parking structure – 783 N. Van Ness Avenue, LA 90038. Parking $13 – CASH ONLY. For more info & tix, go HERE. Team Coco may not be showing up for the first L.A. River Boat Race (or heck, maybe so…it’s Conan!) but whether you’re a boater or a bather, a timer or a cheerleader, the L.A. River should be on your Labor Day weekend destination list for outdoor fun. Hosted by L.A. River Expeditions, participants will race the 3/4 mile course through the soft-bottomed Elysian Valley Recreation Zone Glendale Narrows. The Saturday event is open to kayakers, canoeists and stand-up paddleboarders but space is limited to 100 boaters. In other words, sign up ASAP! Contestants, who should have some experience with river paddling, will compete in various age-and skill-level categories for glory, t-shirts, awards and other prizes. The race is individually timed; no heats, just a cool place to beat the heat. Whether you bring your own gear or rent kayaking gear from L.A. River Expeditions, you’ll be paddling your way into L.A.’s history books. Bonus #2: bragging rights for proving Conan wrong. THE L.A. RIVER BOAT RACE — Sat, August 30, 11am – 3pm. $40 – $65 suggested donation; 16+ — Elysian Valley Recreation Zone Glendale Narrows, Rattlesnake Park, LA 90039. For tix and more info, go HERE. Long Beach Funk Fest is ready to launch…. There may be other, bigger music fests in town this weekend — see More Weekend Fun below and every other major media source — but the Long Beach Funk Fest is older, more affordable and, well, funkier. And that’s a good, good thing. Now in its sixth year, this year’s fest is notable not only for its new venue next to the Queen Mary but because it’s the first time “Father of Funk” George Clinton will be headlining with Parliament Funkadelic. Go Go’ers, they’re gonna funk you up. 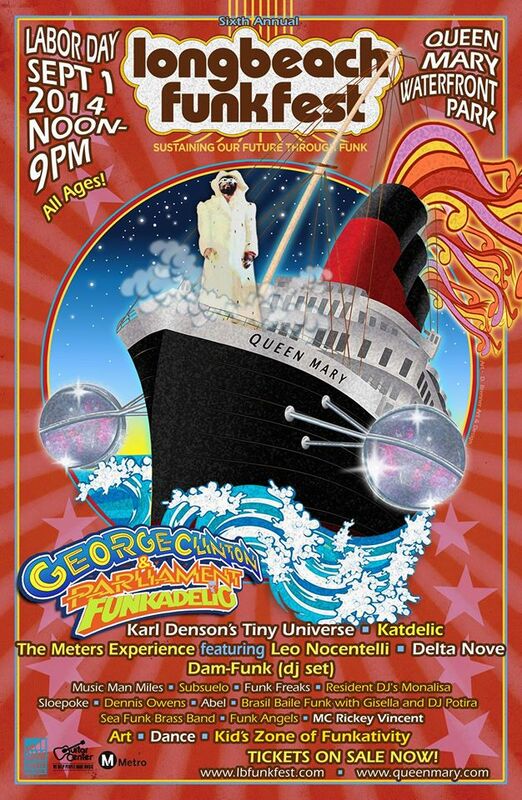 Blasting off on Labor Day, the all-funk line-up includes Karl Denson’s Tiny Universe (Lenny Kravitz), Grammy-nominated Ronkat Spearman’s Katdelic, Meters Experience featuring Leo Nocentelli, and many more funk acts plus dancers, DJs, and an art show. Your fest ticket gets you a before-or-after tour of the Queen Mary (so you can check that off your bucket list) and the event helps raise funds for music education in Long Beach. Go Go’ers, it’s gonna be funky fresh. LONG BEACH FUNK FEST — Mon, Sept 1; noon – 9pm. $15 – $45; all ages — Queen Mary Events Park, 1125 Queens Highway, Long Beach 90802. For more info & tix, go HERE.